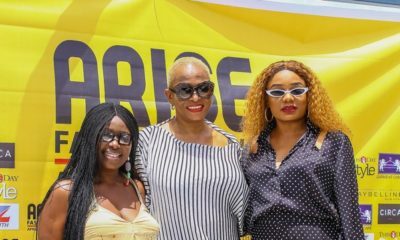 From 23rd to 25th of March, Dubai was filled with style lovers and fashion enthusiasts as Fashion Forward Dubai returned for its 9th season. It’s been revealed the gathering is coming back for four days later this year. 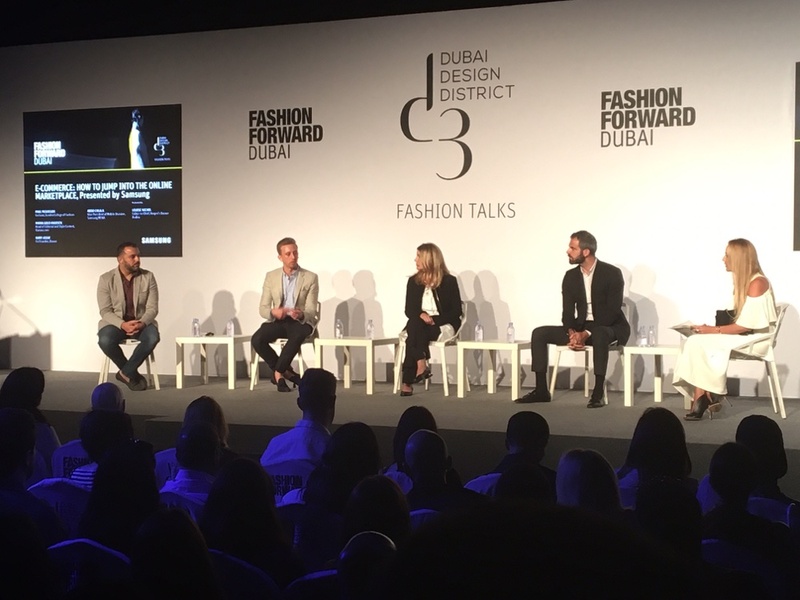 The three days event gathered some of the trendiest people in the region as they traipse the streets of the Dubai Design District to catch catwalk shows, presentations and listen to guest speakers from top tech industry players like Google and many more. The event which held at Hai D3 attracted the Middle East’s most talented jewellery and accessories designers, plus those who create stunning pieces of ready-to-wear and couture. 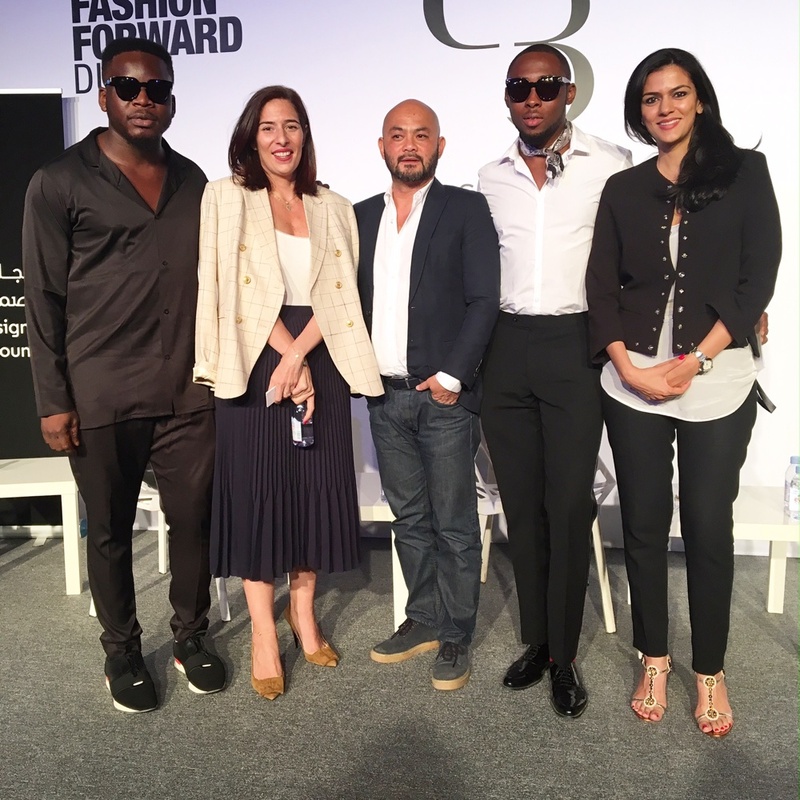 For this year’s event, Media Personality, PR Consultant and Style Entrepreneur, Efe Tommy and Celebrity Stylist and Image Advisor, Moses Ebite of The Moashy Company were invited to be part of the experience by Fashion Forward Dubai. 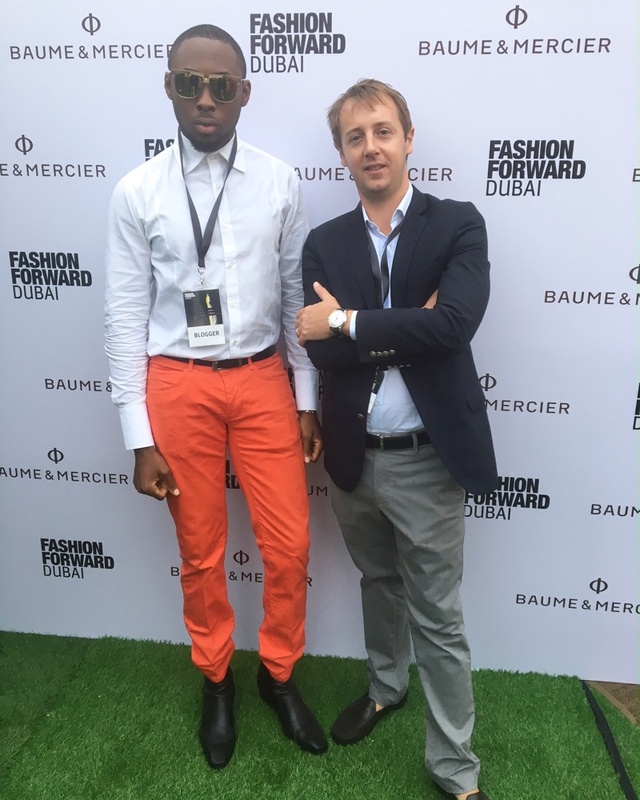 I have been visiting Dubai since 2010 but this whole experience opened my eyes to so many possibilities between the fashion in the UAE and Africa with Nigeria being the focus. – Moses Ebite. 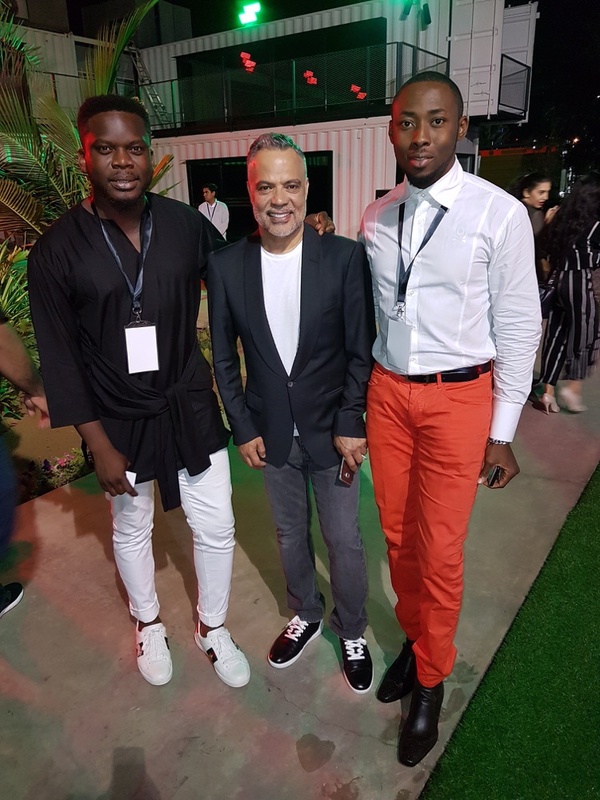 Glad to have met and connected with key players from investors to buyers and media representatives in the Dubai fashion industry. 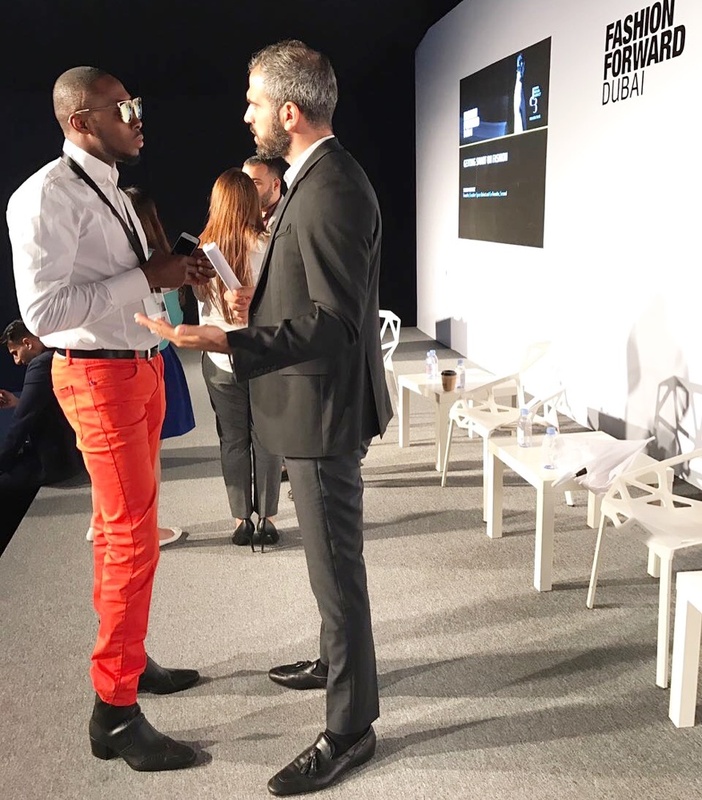 But most importantly, I was excited about the Fashion Talks, a series of inspiring seminars and panel discussions led by global industry experts and fashion academia. – Efe Tommy. 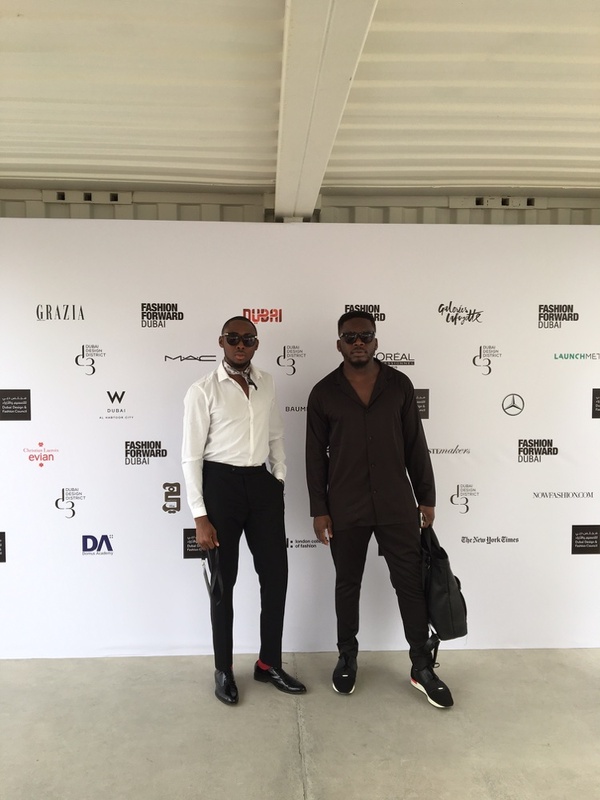 From the catwalk shows to collection presentations, it was a breath of fresh air for us. Even the drizzling rain couldn’t stop showgoers from taking in the collections at Fashion Forward Fall 2017. Ghudfah offered a lineup of sharp abayas. Lebanese designer Abed Mahfouz made his debut to the platform with a parade of charming evening gowns in rainbow hues. 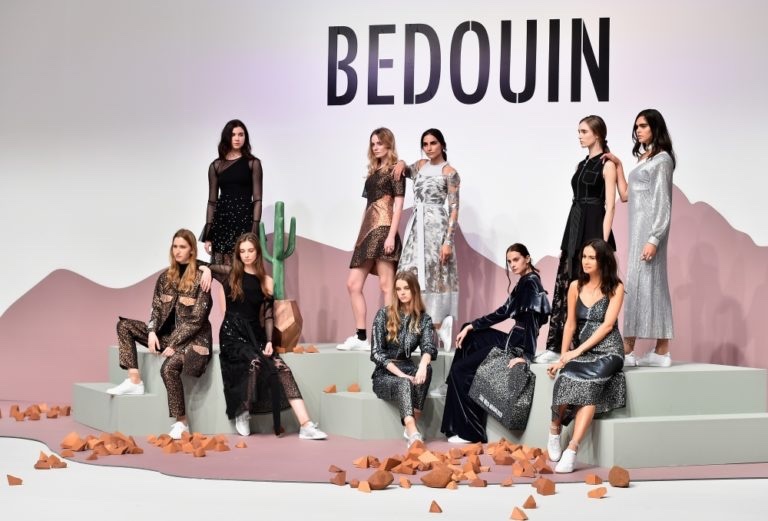 London-Dubai-based brand Bedouin explored desert themes, while Lama Jouni presented her take on military-inspired silhouettes. 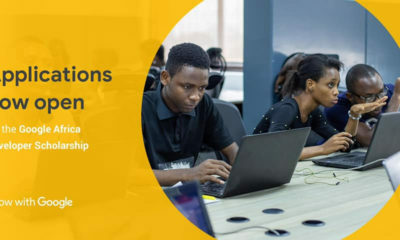 Read on for the biggest takeaways from FFWD. 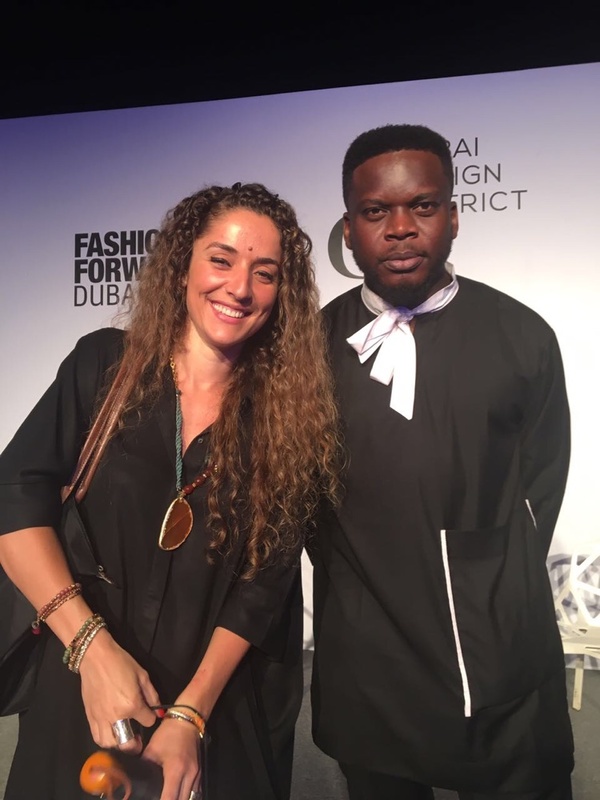 Central Saint Martins graduate Andraya Farrag is the brainchild behind Bedouin-one of the strongest contemporary ready-to-wear labels to present at Fashion Forward. Showing against a desert backdrop, Farrag steered away from a somber palette and instead explored warm hues that ranged from terracotta to brick red for Fall 2017. The designer is known for her cool bomber jackets, and this season they were bathed in speckle prints reminiscent of a desert night sky; cut from inky velvet; and detailed with pull ring zippers, which were paired with matching pants. 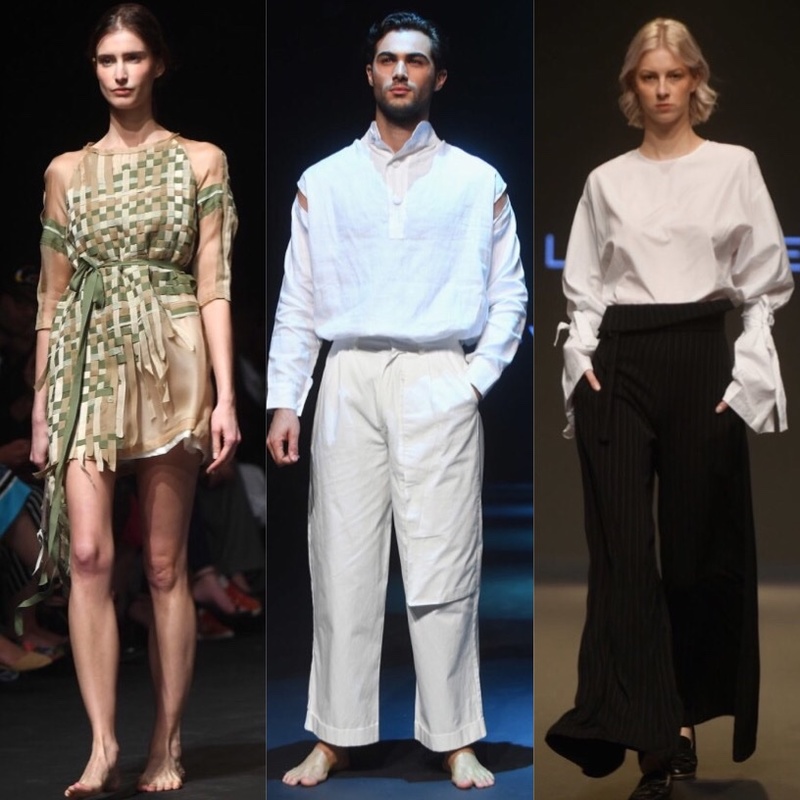 Raised in Beirut but now shuttles between Beirut and New York showcased a runway show that was filled with neutral hues and sustainable wearable pieces. Another designer from Beirut under that Starch Foundation who showed a rich use of draping and elegance in his pieces. 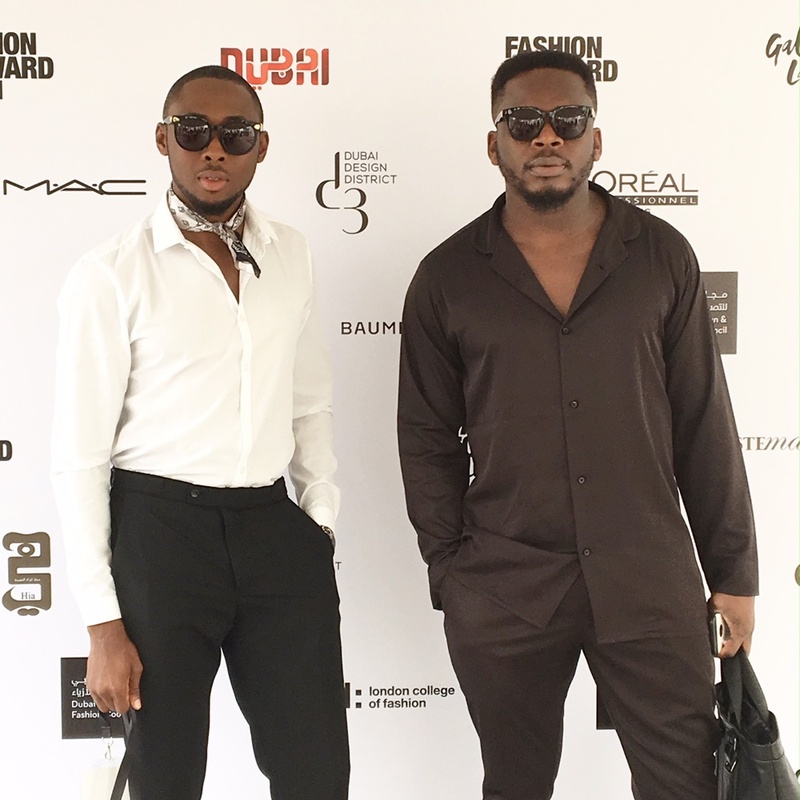 Totally reminded us of what Nigerian creative, Tzar did with Kisienna Thorley on day one of 2016 LFDW. 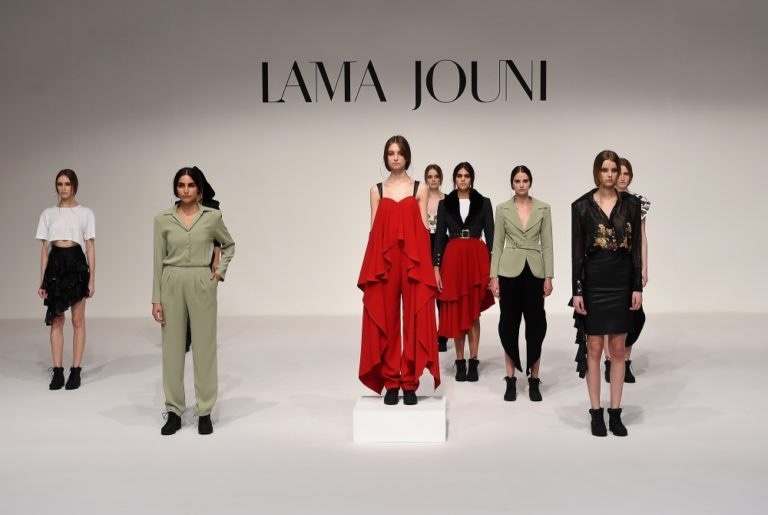 Lebanese designer Lama Jouni unveiled her eponymous label’s Fall 2017 collection, which she also debuted at Paris Fashion Week. The story draws inspiration from the French colonization in Lebanon, which is evident though military-inspired blazers detailed with gold buttons and belted trench coats. The collision of two cultures took shape through an updated version of shirwal pants, she sliced with slits down the side. Moving away from her signature body-conscious silhouettes, Jouni loosened up this season with soft ruffles that cascaded on lace skirts and one-shoulder embroidered tops. 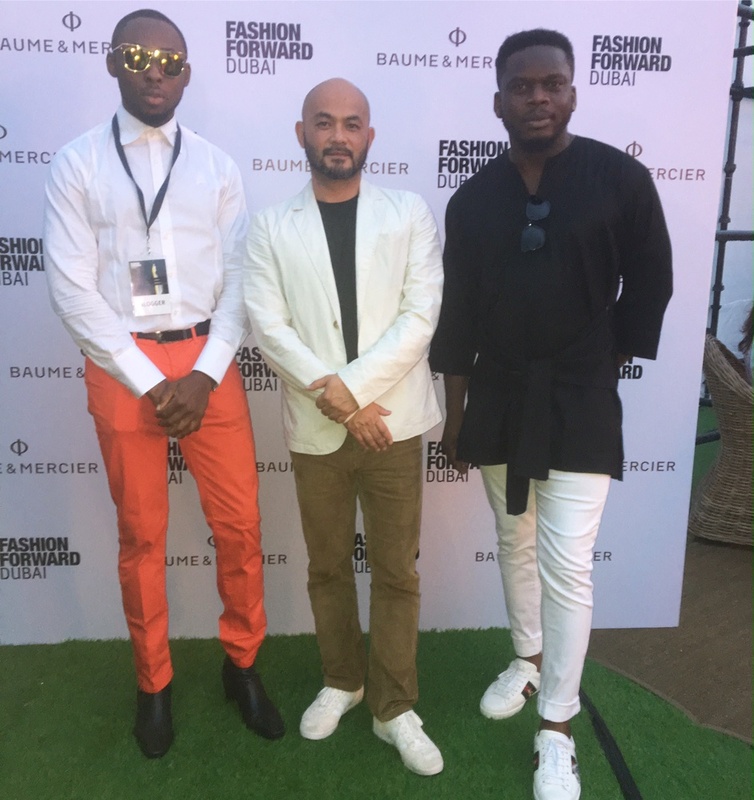 Sharp tailoring and clean silhouettes were the calling cards for the Golkar brothers’ – Babak, Haman, and Farhan. The designer trio behind Emperor skewed towards a luxe streetwear aesthetic with mean cuts that embraced their signature hand. The show unfolded with an energetic live performance by Pepstar, with menswear looks styled in collaboration with the new Reebok Zoku sneaker ranging from mesh t-shirts, zipper-detailed shorts, and sweatshirts painted with the brand’s emblem and logo. 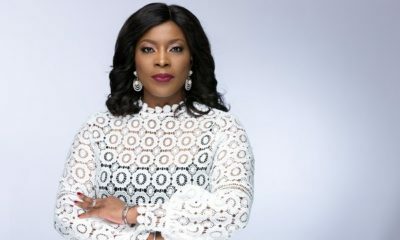 An added bonus is that, the offering was currently up for grabs, as the designers showcased the label’s Spring 2017 collection under the see-now-buy-now model that Tomford did in Newyork 2016 during fashion week in the fall. It might have been pouring outside the show tents but inside, colorful gowns rained on the catwalk at Abed Mahfouz’s fall 2017. The celebrated Lebanese designer infused his collection with intricate embroidery that traced across gowns and sheer silhouettes in a kaleidoscope of powder blue, orange, yellow, pink and pistachio. Ruffles snaked down sleeves and the sides of dresses, and shot upwards on shoulders. The designer showcased a heavy hand with the ruched detailing on the skirts of cocktail dresses. His strongest pieces were the flowing numbers, cape styles and jumpsuits, which felt sleek. 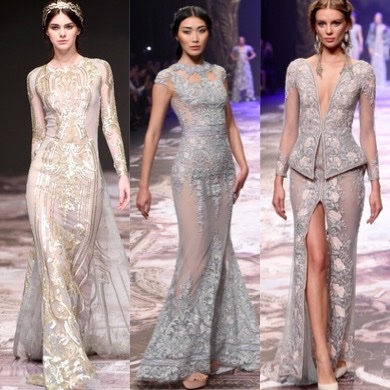 Taking us into fantasy land with dreamy yet gorgeous pieces one after the other. Each piece had a story plus the brilliant presentation of the collection was as though it was fine dinning with the table filled with fresh roses, candles and rich food.